i may post pics later, but i have a 50 inch 4k hisence tv....only $300 btw, set up in living room with my sega sports dc connected through vga through hdmi upscaler/passthrough as well as xbox 360,xbox one, ps4, and wii u all connected to that tv....i have some wooden crates i use to house the consoles in sitting beside the entertainment center. 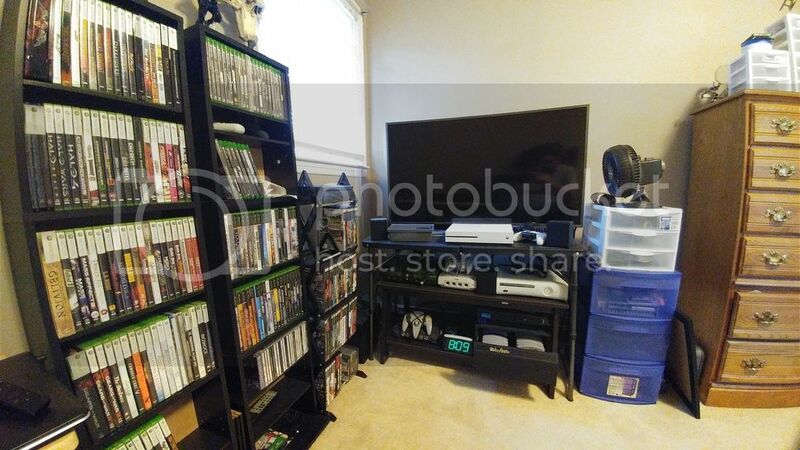 in the family room i have an old 36 inch RCA standard def tv wifh the original xbox, gamecube, ps1, ps2 slim, and a toploader NES all connected. So this is my bad boy set up. Samsung LE26R73BD. disappointingly only 1080i and 720p through HD port, but makes up for it by having VGA, S-Video, two SCART inputs and component. S-Video is pretty rare on a PAL tv so happy to have it for non-VGA compatible Dreamcast games. Tim Worthington RGB mod N64 with deblur switch. Just waiting to get my OSSC. what happened to my post.. ? This is my setup, I like to keep it simple. I like having the decent speakers and high quality image on my monitor! I use VGA for most things; for games that don't support this I have an proper SCART cable for the other TV. 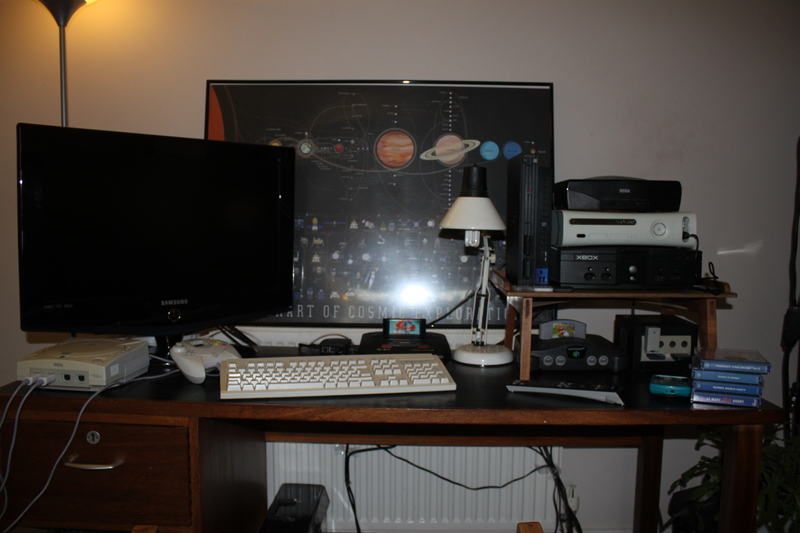 You can't see it but behind the tv to the right I have a Framemeister that the DC and N64 are running through. Tv has a component input so the rest are plugged straight into the tv.